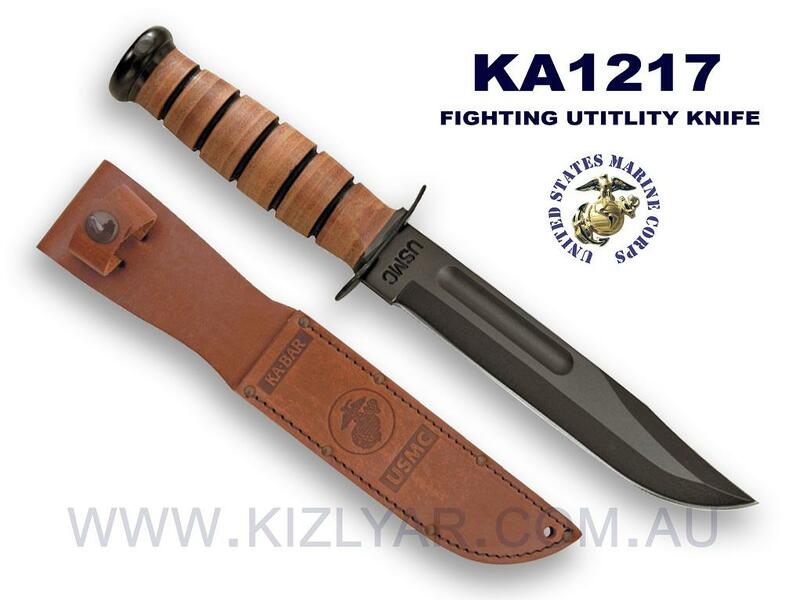 Considered the most famous fixed blade knife in the World - "the KA-BAR" - was designed to serve American troops during World War II and is still doing its job 50 years on in flying colors. Features a 7 in. buff polished edge blade made of specially heat treated 1095 high carbon steel. 1095 Carbon steel is considered one of the toughest steels on the market due to its resistance to chipping and breaking. 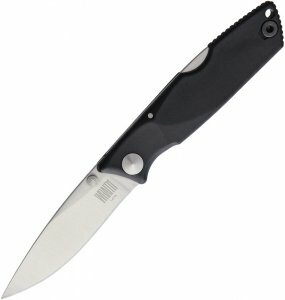 1095 is also known for its great sharpening properties. The handle is constructed of compacted leather disks which gives a comfortable grip that will last a lifetime. Each knife comes standard with a high quality brown leather sheath embedded with the USMC stamp.